Spring 2019 steers are very limited! A deposit of $100 is required, by check or credit card, to secure your order. 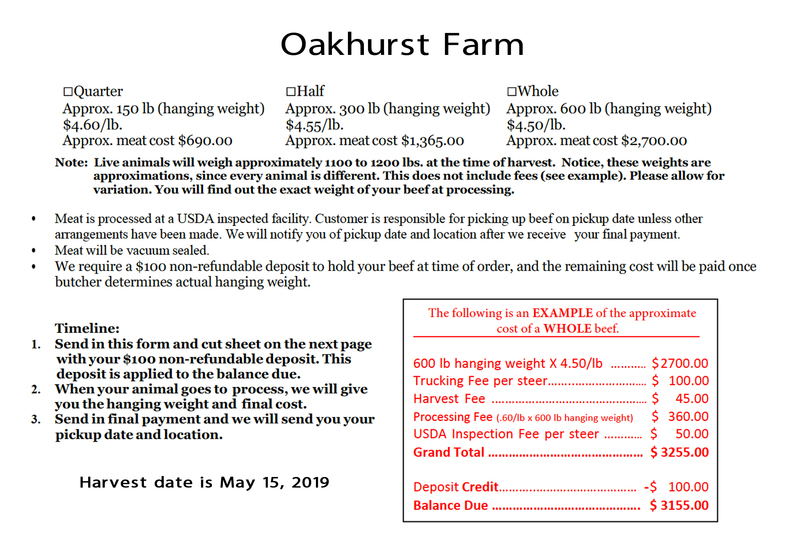 Please review the below information before placing your custom beef order. To place your QUARTER beef order online, click HERE. To place your HALF or WHOLE beef order online, click HERE. To place your order by mail, click HERE. Contact us for availability prior to completing the below MAIL-IN form.